How Many of Your Users Need Accessible Websites? The Web Content Accessibility Guidelines (WCAG) came into existence in order to provide equal access and equal opportunity to people with disabilities. If the Web is accessible, many people with disabilities can communicate and interact with content much more easily. In this article I will list some statistics released by the World Health Organization (WHO) and other known sources. I hope this post will help to create awareness on the importance of creating content for those using assistive technology, including blind as well as hearing impaired people. Note: Some of the data presented in this article in images is not accessible. 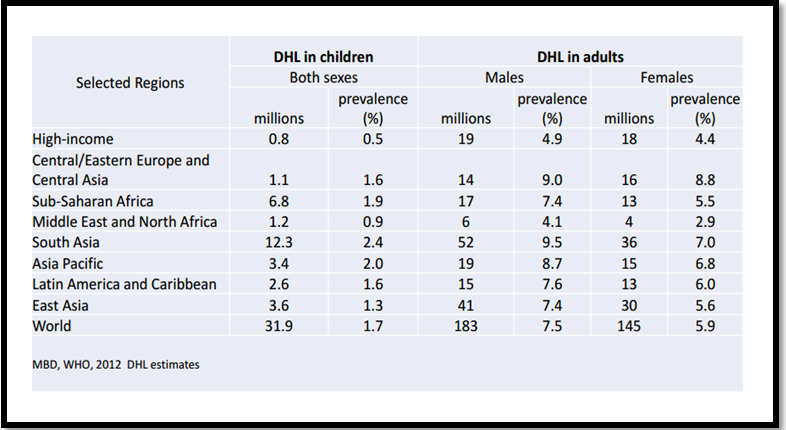 The images are merely to demonstrate some of the statistics in another format. All of the images have source links where the data can be found in more accessible formats (e.g. PDF). Blindness is caused, among other things, by glaucoma, age-related macular degeneration, retinitis pigmentosis, onchocerciasi, and corneal opacification. These diseases often limit a personâ€™s ability to perform everyday tasks and affects their quality of life. Naturally, this will also affect their ability to access web content. Hearing loss may be inherited, caused by maternal rubella or complications at birth, certain infectious diseases such as chronic ear infections, exposure to excessive noise, ageing, and so on. The same quality of life factors are at play here, and specifically this will affect how they access audio content on web pages. We donâ€™t need an extensive discussion of causes here, so that should suffice to get a general understanding. Letâ€™s consider the stats now. According to WHO, there are 285 million people worldwide who, due to some disability (i.e. they are suffering with low vision), cannot read all content on a website. 39 million of those people are blind and cannot access any of the content via sight. Additionally, there are 360 million people suffering from hearing loss worldwide. 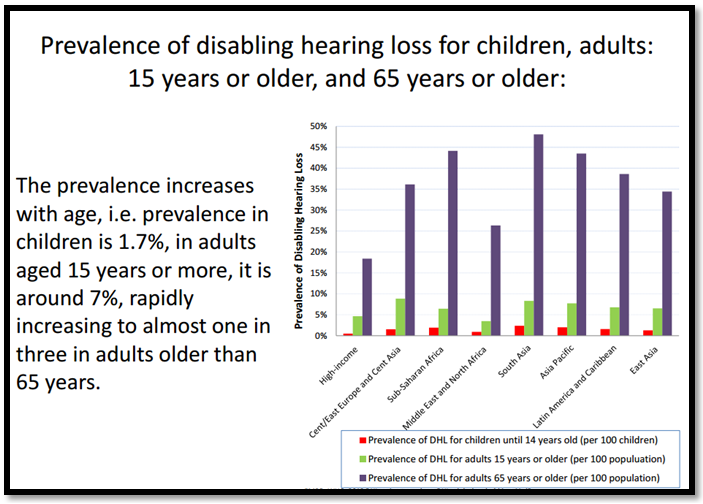 Approximately one-third of persons over 65 years of age are affected by disabling hearing loss. 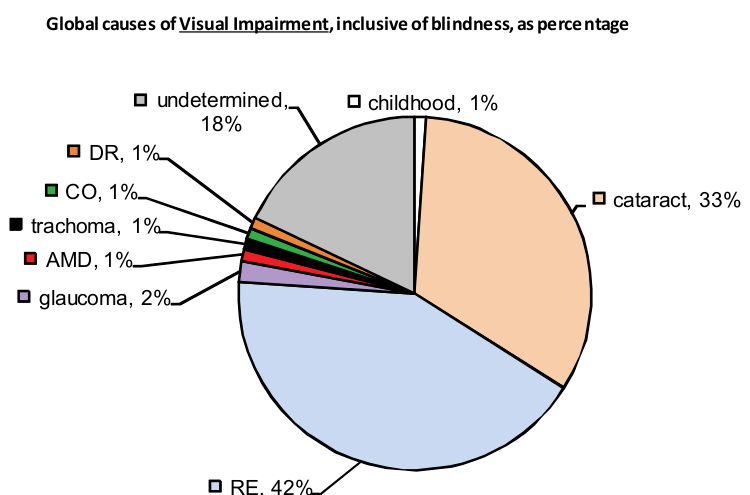 About 90% of the worldâ€™s visually impaired live in developing countries. 2 million people in the UK are living with sight loss. These figures are expected to rise to over 2,250,000 in 2020 and nearly four million in 2050. There are 360,000 people registered as blind or partially sighted in the UK who have irreversible sight loss. An estimated 25,000 children in the UK are blind or partially sighted. Someone in the world goes blind every 5 seconds. 50% of sight loss cases cannot be avoided. 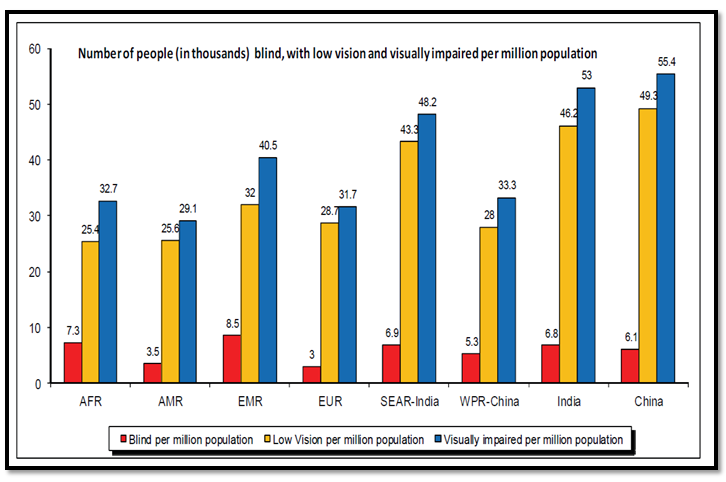 India has one the largest blind populations in the world with around 15 million blind people. It is said that one out of every three blind people in the world lives in India. There are around 2 million blind children in India. There are 30,000 new cases of blindness every year. Glaucoma is the largest cause of blindness in India, currently affecting more than 4.5 million people. If your content is not equally distributed to everyone then this lack of accessibility becomes a social and legal issue. There are some laws that define that services provided should be available to everyone regardless of ability. The 2010 Equality Act and its predecessor the 1995 Disability Discrimination Act created a legal duty for businesses and organizations to ensure their services are available to everyone regardless of disability. People who are not fluent in English. People who do not have or are unable to use a keyboard or mouse. People with temporary disabilities due to accident or illness. There are a number of initiatives under way all over the world to create awareness about accessibility, the visually impaired, hearing disabled people, and other issues, including Google’s Web accessibility course, Foundation Fighting Blindness, Adobe’s Accessibility Initiatives (PDF), and more. There is much to look forward to as many big initiatives are taking relevant steps to spread awareness. There is Googleâ€™s Accessible Web Search for visually impaired people, Foundation Fighting Blindness, various initiatives by World Health Initiatives are just a few. I personally know more than 50 people suffering from incurable eye diseases with low vision from India, USA, Nepal, South Africa, etc. I also have had conversations with more than 20 designers and developers who have developed interactive websites, but still donâ€™t know the importance of accessible websites. I look forward to users with disabilities having the same ability to access content as everyone else. And if designers and developers need any extra incentive, besides those already mentioned in this article, making a websites equally accessible to all means your website traffic will increase and ultimately this will mean a more successful website. So how many of your users require accessible content? You wonâ€™t know unless you analyze your own visitor data. In the meantime, the stats discussed above should give you a general idea that you can use as a gauge for future projects.